Many books present GIS in terms of technology alone, fewer attempt to embrace real problems and link concepts to exercises that explain how all the dots connect when using GIS. 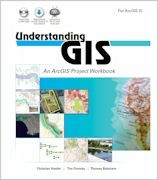 Understanding GIS: An ArcGIS Project Workbook benefits from the wealth of experience authors Christian Harder, Tim Ormsby and Thomas Balstrøm bring to the book, providing the guidance and explorations necessary to develop critical-thinking and geographic problem-solving skills. A common issue that many people voice when beginning to work with GIS is “but how does it work in the real world?” These people want to take all of the technology lessons learned and the knowledge explained and to begin using it – they want to connect concepts to applications. Understanding GIS: An ArcGIS Project Workbook is written to tackle that question. The book is divided into two parts. 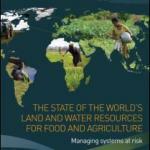 The first part discusses issues relating to geographic information and spatial concepts. The later is focused upon exercises that allow readers to put the concepts into action and to solve problems using GIS software. A DVD is included in the book that provides data for the exercises. 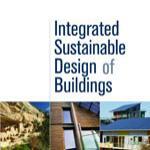 The three authors of this book bring lots of experience and knowledge to the project. Christian Harder writes for Esri and has written many books on GIS. Tim Ormsby is a technical writer at Esri, contributing to ArcGIS training courses and is author of the workbook Getting to Know ArcGIS Desktop. 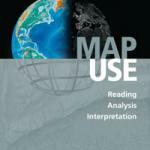 Understanding GIS: An ArcGIS Project Workbook opens with a preface that describes the origins of this kind of book. In the early 1980s, Esri published a software book called Understanding GIS: The ARC/INFO Method. That book opened the door to wider use of GIS on the desktop and expanded on what were many new concepts to people at that time. Today, ArcGIS software has evolved into a second-generation GIS, featuring many new functionalities and capabilities. This book attempts to explore those capabilities, providing updated experience and knowledge for critical-thinking and geographic problem solving. 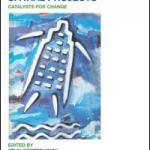 With this goal in mind, the book focuses upon the Los Angeles River, located in southern California. That river runs straight through the middle of the City of Los Angeles, serving as a flood control channel. Many readers will be familiar with images of the largely cement constructed Los Angeles River, often seen in movies and popular pictures. But in recent times there has been a recognition that adjacent land areas are under developed, suggesting a need for more urban planning, new ideas – and the application of GIS in land use planning etc. The first step involved requires an assessment of the study area. The book describes the steps for building databases, choosing data, editing the data and early analysis, all designed to understand the study area and to establish the creation of the correct data from the start. Readers will be able to edit the study area data, label locations and include other data such as census information. A preview chapter begins to expose readers to the planning stages involves and how to frame the questions and problems that will need to be understood. For US readers, that country’s Census system is also explained. Although not included, I would suggest that this book could also be used for readers in other locations. For example, the entire Rhine River, Danube, Volga or Nile Rivers or others, could similarly apply the techniques described in this book. Each of these would also require planning steps. The authors include a ‘roadmap’ as the book moves forward, and step-by-step they explain the the work flow and planning stages. Which data are needed, understanding census, land use vacancy’s, and selecting coordinate systems are all part of the process. The book asks an intriguing question: do we need a database? In other words, much of the data one might collect for such a project can be accessed through interoperable connections – effectively pulling needed data into workspaces from where they already exist. Alternatively, the authors describe how geodatabases can be created. Pictures of geodatabase tables and maps of the areas being investigated are provided alongside the text to keep the reader oriented and on task. These speed up understanding and help readers to familiarize their thoughts more quickly. By Lesson 6 on the roadmap, existing property zones, demographic constraints, parcel suitability, map and geodatabase performance as well as evaluation of results are all being explored and available for consideration. While many of these results are directly associated with the GIS Analyst tasks, the book extends to include ‘what-if’ scenarios such as council people changes, policy changes and so on. Consequently, GIS planning needs to include possibilities for changing situations from many sources. Data modeling provides a mechanism for enacting these constant changing circumstances, and to include them into the overall GIS planning processes easily. In this case Esri ModelBuilder is explained using the Los Angeles River data sources and planning. The presentation of results is sometimes overlooked by GIS personnel. But it is a critical stage for success and in many cases the audience are decision makers with no interest in the tools per se, but highly interested in the presentation to formulate their decision making process. Good presentations matter. And Understanding GIS: An ArcGIS Project Workbook includes some hints, ideas and guidance about how to make the correct impression. This involves good cartographic skills and the integration of data, maps, imagery and symbolization collectively to construct a compelling presentation. At first look Understanding GIS: An ArcGIS Project Workbook appears as a book oriented toward the watershed management area of the Los Angeles River, since it is focused on that particular study area. But that is not quite right, instead, the book is an in-depth look at a geographic problem, requiring a spatial orientation involving GIS tools, geographic knowledge and critical-thinking to solve an integrated problem – that happens to be the Los Angles River in this book. In practice I think this book has worldwide applicability. In fact, I would suggest that if you are working in watershed related areas, and truly understand this book well, you will be very hirable and nearer to obtaining a job in this area. It takes time to build databases, edit them, understand them and to stand back and think about how they might be used and changed by others into the future. This book helps to build on the committment needed to connect-the-dots that enable geographic thinking and critical spatial analysis needed. Understanding GIS: An ArcGIS Project Workbook is filled with the information and knowledge that you not only like to know, but need to know, to really make compelling spatial change.